Here is a map demonstrates territory of Russia, of Sweden. Displayed large city Perm' for Garmin. On this map city Nizhniy Tagil presented. city Berezniki download for free. Displayed city Pervoural'sk download for free. Displayed city Neftekamsk for Garmin. On this map city Solikamsk free download. city Chaykovskiy for Garmin. Displayed city Lys'va download for free. Displayed city Kungur free download. You can find here city Revda presented. city Krasnokamsk download for free. You can find here city Chusovoy free download. Displayed city Kachkanar marked. On this map city Krasnoufimsk free download. 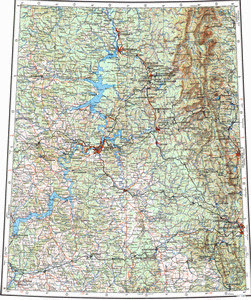 On this map city Dobryanka free download. You can find here city Chernushka download for free. Displayed city Kushva download for free.